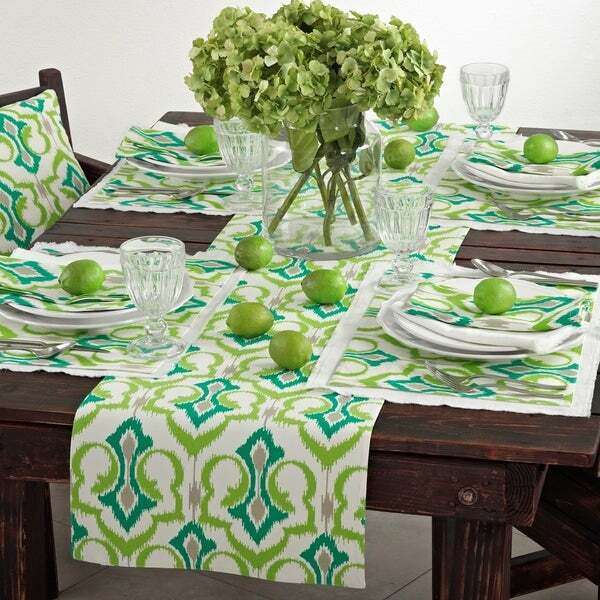 Dress your table in contemporary elegance with Saro Lifestyle's printed ikat design placemats, runners and napkins. These linens are available in a vibrant multicolor print. This brightly colored runner is a nice addition to my dinning area! I ordered two of the table runners. Exactly as pictured. Beautiful. colors are vibrant , fabric has a nice hand. Very nice and looks like what is pictured. Too light weight. Didn’t like at all.